High quality, reliable products from the worlds best manufacturers. 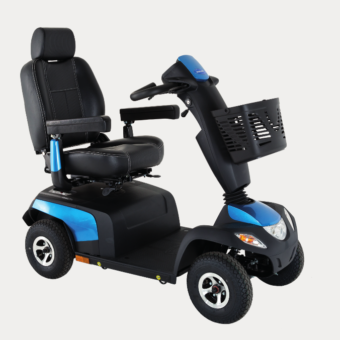 Service and repair - from scooters to electric beds to wheelchairs. From short term to extended period hire, we have a solution available. designed to enhance your quality of life and independence. Call to request an on-site demonstration and consultation. Introducing a Revolution in Complex Rehab and featuring cutting-edge Ultra Low Maxx and LiNX technologies, the TDX SP2 is the perfect mix of functionality, customisation and style that adapts to your body, needs and desired lifectyle. 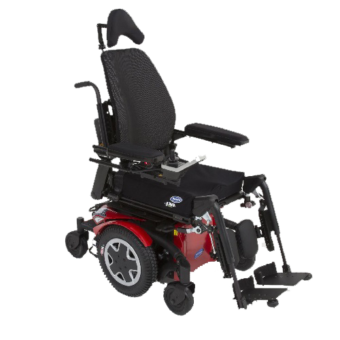 Boasting unrivalled comfort, driver performance and manoeuvrability, the TDX SP2 is THE Powerchair that changed the Powerchair. Many thanks to all of your staff who have been so helpful in assisting us. We will bear Total Mobility in mind should we need any equipment for our other clients. John, I would like to thank you very much, I'm very happy with the service and the lift chair is now working perfectly. I 'm impressed with the business, excellent website, very helpful staff. A young guy Ryan Fornasari who came out to mum's place today to show us a raised toilet seat was lovely with her, despite her being very grumbly, keep up the good work. We would like to bring to your attention, that John Graham, really lives your motto “solutions from people who care”. He is definitely an asset for you company and a peoples person to the core. Please let him know that we do appreciate his can do attitude. Thank you for the ongoing support provided by you and your team, especially during our recent refurbishments. It is so valuable to me to know that when we have an urgent need ... you are able to quickly attend, consult, repair or deliver. Thank you to Craig for calling out this morning and fixing the walker/skis for my daughter. He was excellent (very helpful) and we are very happy. Just emailing to say a big thank you for coming to metro residences last Friday! The information you gave us was very useful. I look forward to speaking with you in future about your product selection. Thanks for the delivery which arrived this afternoon. Really am grateful to you all and for the prompt professional service. It's second to none. What a fantastic service, thank you very much! I am sure you'll hear from me in the future. Just wanted to thank you - your company is wonderful to deal with...and Nathan is incredible - he goes above and beyond and nothing is ever too difficult! Colin, I just had the pleasure of speaking to you a few minutes ago. Would've emailed you sooner but was raving to my family how good you guys are. Brad was fantastic with presenting the chair to us and we are all so happy we have finally found a fantastic solution for mum! Brad delivered the walker this morning. A very informative and nice person. Thank you for sending both the walker and Brad. Greg, Colin, John, I'd like to thank you all for getting Robyn's Electric Maxi Bed repaired, it's going as it should. Colin has been in contact with me to see if everything is going well ... many thanks. Thanks for delivery and the patience of your employee yesterday with the family. Just wanted to thank your company for the past few weeks and the great solutions we have achieved. I have had some recent complex cases where I really didn't know how we were going to solve them, however Brad and Mike have been fantastic. The girls in the office have also been excellent with their communication/liason with me even though I am often not available. It was extremely easy working with Total Mobility. The operator was timely and efficient and had a great rapport with our assisted Patrons. The whole process was no fuss and relaxed from booking to pack up. We are very happy with the service received from Total Mobility and would recommend to anyone in need of assistance. Danielle Carey - Palace Chauvel Cinema"
Stairlift is finally installed, don't know if XXXX contacted you or not, but you can send John back to pick up the Stair-trac again, for real this time. We actually went out to dinner on the weekend to celebrate it being installed. Their company could learn a great deal from you regarding customer service. Thanks again for all your help. If anyone asks, you will get a great recommendation from us. Thanks to Nathan, Colin and Diana for everything you guys did with the scooter. Nathan did an amazing job dealing with all the chaos down at the overseas passenger terminal both at drop off and pick up. I will most definitely be recommending you guys to my clients and look forward to working with you again. I must compliment how impressive Nathan was in the training today. He showed the person centred approach to care when hoisting a potentially nervous resident. Excellent service Nathan!! Just wanted to alert you to your two excellent staff Gavin and Scott. It has been a pleasure working with them, and I would not have been able to do this without their hard work. Thank you. We popped out and saw Nick earlier today and mum has purchased the Triwalker. Thank you to Nick, very polite and easy going – mum is very pleased. I just want to thank you for the service of hiring out equipment. We had a wonderful holiday made even more enjoyable by having the chance to stretch. It was so stress free with the equipment already present on arrival. I can't thank you and your company enough. My husband and I would like to let you know that over the past few weeks we have had dealings with your employee, Tony Matthews, regarding trialing Liftchairs from your company. Tony provided us with outstanding service and his knowledge of the Liftchairs was very impressive. We were so impressed with our positive experience with Tony and we are looking forward to getting our chairs and very much appreciate the advice and care we received from Tony. We at Garrawarra would just like to tell you how we appreciate the service we get off Tim Harmer. He is so polite and well mannered. He comes into the facility and greets all the NUM’s, Staff and Residents with a smile. He always attends to the jobs with a no fuss attitude and everything we throw at him it’s never a problem. His communication back to senior staff is impeccable. Great work Greg, he is an asset to your company. I just wanted to thank you and all your staff for all your support. Today was a particularly outstanding day. I had a great wheelchair trial with Rob for two young girls who were worried about getting a manual wheelchair. Mike solved a mattress issue for me for another client. Brad came up with some great seating solutions for a very complex client with MND, Emma and Jodie gave me about 9 quotes, Nathan is chasing up some unusual equipment I need and Kerri is fixing a DVA order for me, as well as all the other staff who help me continually, Thank you so much! Footplate covers all successfully installed! Once again thank you for the wonderful service from Brad and all of you at Total mobility. Hi Stephen, I just wanted to say what a pleasure it is to deal with Total Mobility. All of your staff are always extremely helpful and easy to communicate with. They’re knowledge and efficiency assists me greatly. I don’t always know what I am looking for, and they have guided me many times. It definitely makes my job easier, when I can deal with a company who knows their business and is motivated, as we are, to improve the lives of our clients. Can you please let Kerri know THANK YOU VERY MUCH for organising the delivery of my clients Wheelchair, Hi Lo Bed and Mattress. Client’s sister is happy with set up and delivery and it was a smooth transition. Thank you again. Thanks so very much for all the people at Total Mobility who made this happen. I appreciate your prompt, helpful service and advice. Can you please pass our most sincere appreciation on to Mark, Nathan and Tim. All of your team were great to deal with, they listened, were attentive to Renae's needs, were hard-working and they cared about delivering the best outcome possible in a timely manner. I have had a massive day in the heat today and just wanted to thank all of your staff for their solutions and support. Colin and Nathan for working out how the heck an underseat bag attaches to the Q7, Mike for sourcing a very rare chair from K-Care, Nathan for changing a globe in a lamp we provided, Sarah for going through a long email trail to work out what we needed to do etc. Thank you! I would like to thank you for organising the Recliner Lift Chair that I had you deliver to the Parkroyal Darling Harbour on Friday 23rd February. The service that you personally provide as well as Total Mobility with the delivery and pick up was second to none and I would not hesitate to use you again as well as recommend you to others. I just wanted to write a thank you for assisting us with finding the right walker for my mother in law, Virginia Brown. A special thanks to you (Ursula), Jess and Colin who assisted us with the purchase. Virginia has returned to Melbourne and has loved showing off her new mobility device. Thank you so much for the chair which was made for my mother. She loves it and uses it all the time. Now she can get up without rocking. She loves the soft colour as well. Hi Tony, I just wanted to let you know that my dad passed away a few weeks ago and I wanted to say thank you for everything you did for him. The care and support that both dad and the family received was amazing. Thanks Tony for your efficient response to this request. We have received feedback from our customers and they were really delighted with everything you did for them on the day. Hi Tim, I really appreciate all the efforts you and your staff put in to make my life easier. It doesn’t go unnoticed, you’re a gem! Thanks. Thank you for your email and visit yesterday. Thank you also for adding these items onto their quotes. We really appreciate it and understand the value of having great suppliers and services at our finger tips. I wish to let you know that I am recommending you to all my OT colleagues who are involved in assistive technology. This is because I have found you have the rare combination of excellent product knowledge and client engagement skills. Both are so essential in this line of work as you know. I would say that you are one of the best reps I have worked with over the past 10 years. Thank-you Tony & others for your wonderful service to St Mary’s. Alex was very personable and professional. His patience and good nature left an impression on both mum and I. 5 star to you Alex for such great service and integrity! You are an asset to your company! I'm confident you will achieve great things. Hi Tony, I wanted to pass on a compliment we received from one of our residents for the amazing service Total Mobility recently gave to repair his scooter. Thank you for all that you do for our residents.